In the New Zealand Herald Thursday 15 August 1867, the correspondent reported on the dramatic news of a gold find at the Thames. The discovery date was the 10th August 1867, the claim would become known as the Shotover. The lives of the four prospectors - Messrs Cobley, Hunt, White and Clarkson would be changed forever. The First Photograph of the Shotover taken shortly after the reef was discovered. 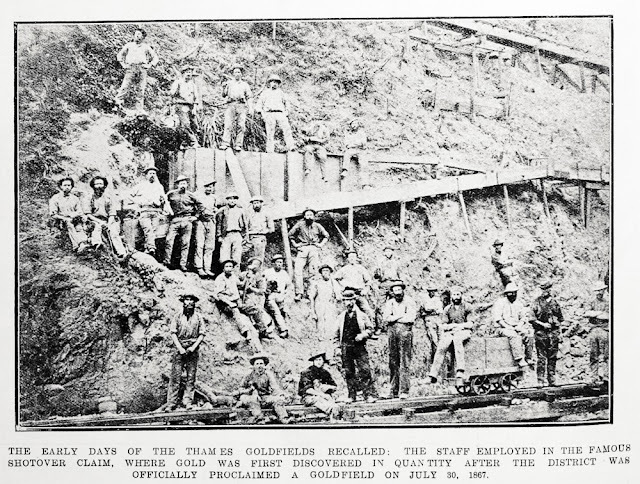 Description: Showing workers at the Shotover claim in the Thames goldfields where the first significant amounts of gold were discovered. 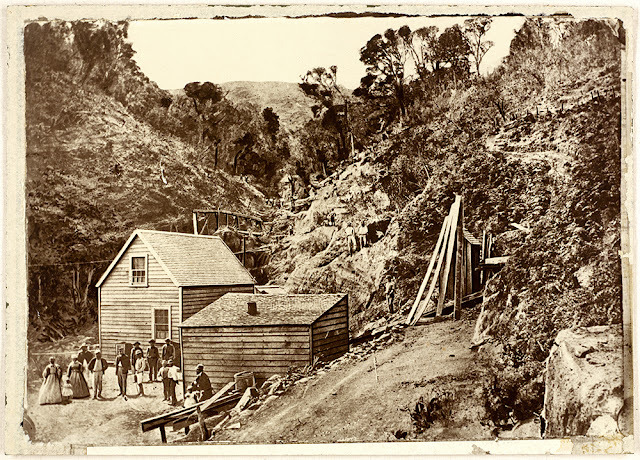 Description: Showing men and women at the Shotover Mine, Kuranui, Thames. 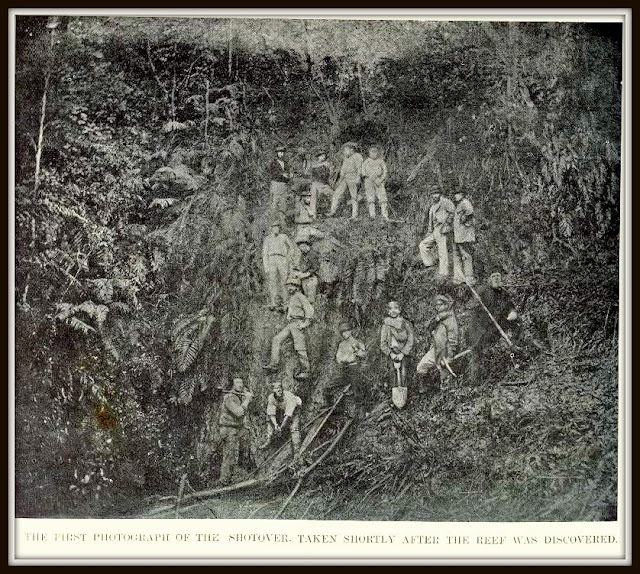 "The men photographed here probably include the discoverers of the claim - George Clarkson, W A Hunt, William Cobley and John Ebenezer White". Source: Alexander Turnbull Library record, reference number: 1/1-003165-G.
BELOW: Satellite view of the Kuranui-Eureka Road, sign located at sea-end.